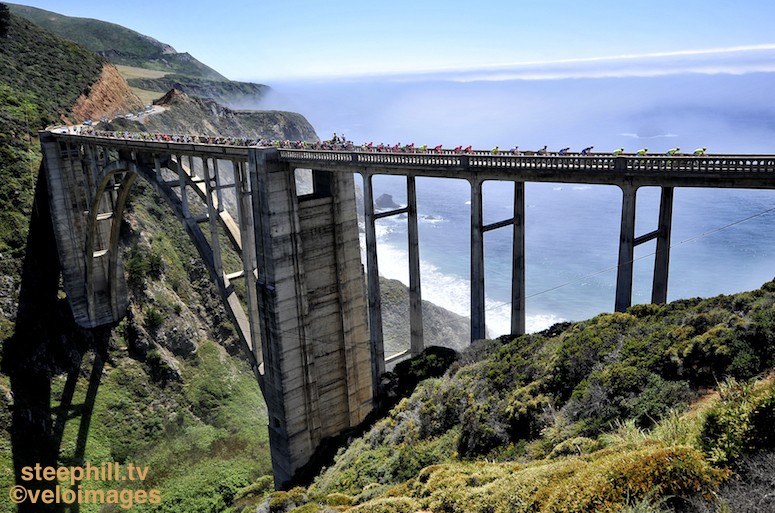 Amazing shot of the peloton crossing Bixby Bridge along the Pacific Coast Highway during Stage 4 of the 2016 race with the bridge expected again as part of the 2019 Stage 4 route. 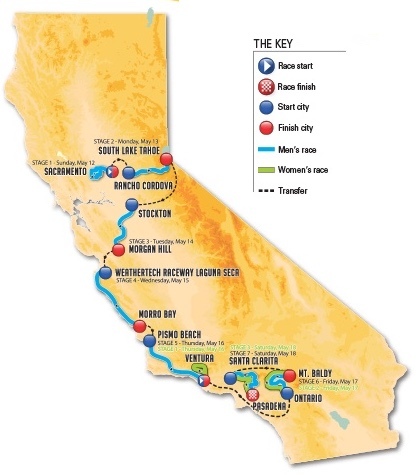 This is the 2019 Tour of California Live Dashboard with access to everything you should need from just one page with daily updates featuring stage details, live video, results, reports, big photos and video highlights. 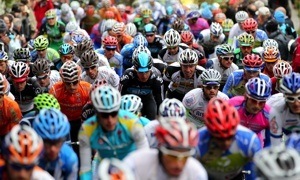 Stage maps are posted in the race summary table when available.